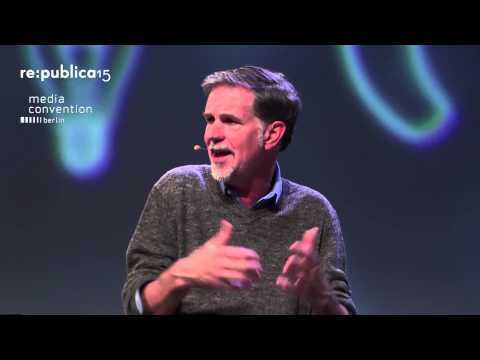 Reed Hastings co-founded Netflix in 1997. In 1991, Reed founded Pure Software, which made tools for software developers. After a 1995 IPO, and several acquisitions, Pure was acquired by Rational Software in 1997. Reed is an active educational philanthropist and served on the California State Board of Education from 2000 to 2004. He is currently on the board of several educational organizations including CCSA, Dreambox Learning, KIPP, and Pahara. Reed is also a board member of Facebook, and was on the board of Microsoft from 2007 to 2012. Reed received a BA from Bowdoin College in 1983, and an MSCS in Artificial Intelligence from Stanford University in 1988. Between Bowdoin and Stanford, Reed served in the Peace Corps as a high school math teacher in Swaziland. Reed is married with two children.